Actors: Caroline Horton and Patricia Rodriguez. With thanks to: Patricia Rodriguez, Ruth Garreta (and family), Elisa Muñoz Sánchez, Katherine Williams, Aimar Perez Gali, Rocio Bello, Ana Sala, Cris Blanco, Ignacio Mateos, Javier Ariza, Edward Jaspers, Natalie Branagan, Alejandro Merino Martinez and Peter Brooke-Tyrrell. 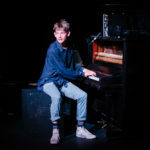 I Wish I Was A Mountain – Written and performed by former Glastonbury Poetry Slam Champion Toby Thompson, I Wish I was a Mountain uses rhyme, live music, and just a smattering of metaphysical philosophy to boldly reimagine Herman Hesse’s classic fairytale. 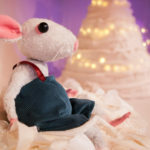 Snow Mouse – Come and join the two new friends on their adventures in a magical forest full of play, puppetry and music.